While you may think that master keys are only for business owners, hotel management, offices, and government building, you can actually add a master key system to you home. This could allow you to have access to every lock on your property with one key, while your kids only have access to the front door. Master keying is a great way to control who has access to which areas of your home and minimizes your key ring! With the help of 24/7 Emergency Locksmith, you could enjoy your own residential master key system. We offer master keying to homes, so that you can keep areas safe while others cannot have access to them. Master key systems are also a great idea for property management companies or people who own rental properties. 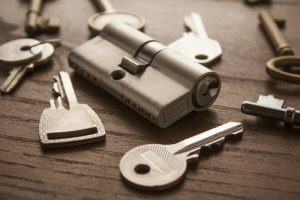 Being able to have one key for each of your properties, while each of your residents has their own key to their rental, is a huge way to keep things simple while keeping your properties secure. If you have a space in your home that you don’t want your kids getting into or you have 12 rental properties and don’t want to keep track of the keys, a master keying system could be your best option! This is a great way to simplify your life while keeping your home or properties secure. At 24/7 Emergency Locksmith, we can help you with your master keying needs. 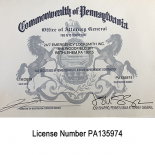 We offer services in the Lehigh Valley and surrounding counties, including Lehigh, Northampton, Montgomery, Berks, and Bucks. Whether you need a master key system implemented into your home, or you simply locked yourself out, we can help! Contact us today with any residential locksmith services you need. You can also reach us by calling 484-891-1922! We look forward to helping you with your lock needs.